When deciding what home security system to get installed there are lots of things you need to take into consideration, price, protection and features. There are currently hundreds of home security systems available on the market and trying to find the best one can be a dreading task, we have made things a lot easier for you by compiling some of the best home security systems on the market right now. 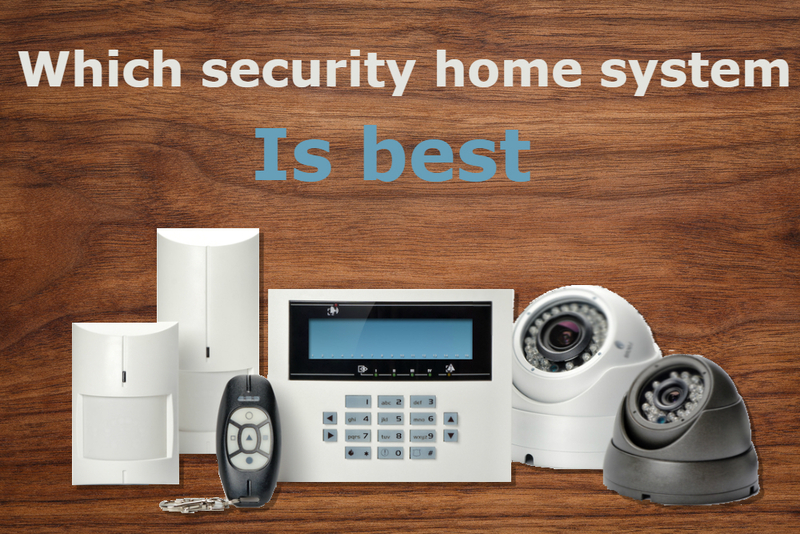 Everybody has different preferences when it comes to home security, some people prefer just an alarm system, some people like just security cameras and some people like all the security they can get their hands on including an alarm and a camera. For a well-rounded home security system, it is best to look for a package which includes cameras, sensors and an alarm. These three items are the biggest deterrents for intruders as a camera will catch them in the act and can be used in court to prosecute them, sensors can be used to trigger an alarm system and the alarm system will alert you or your neighbours of a home intruder before they get the change to take anything. Below are some of the best home security systems on the market at the moment. The Panasonic home safety security system uses the same digital technology as landline phones which means the system does not rely on wifi the way most other new home security systems do, this means your system will be protected against hackers and can cover a wider range of distance. The kit can be controlled via a tablet or smartphone and also has a slot for a microSD which means if you connect a camera to the system will hold videos physically instead of uploading to the cloud. The kits start at £105 and you can purchase lots of add-ons to protect more of your home including extra window and door sensors and extra hubs. If you already have a smart home this security system will be great for you as it offers multi-sensors for windows and doors as well as a motion sensor and a presence sensor to tell you if someone has come into or left your home. The system can be combined with a mixture of locks, alarms, sensors and webcams to create a really secure security system. It can be controlled through an app and costs around £130 for a good starter pack. Yale is best known for being a very secure (and expensive) system with the yellow boxes to put on the front of the building. With their home security system it is much cheaper and still comes with the yellow Yale deterrent box. It is wireless and can be controlled via an app. This comes with multiple sensors and unfortunately no cameras but you can purchase up to 20 extras including hi-res cameras and panic buttons. This package is on the more expensive side at £319 but can be trusted coming from one of the biggest security providers in the country. Hive is known for their thermostats provided to British Gas customers but Hive has now expanded their range into home security offering a range of motion sensors, smart plugs, cameras and light bulbs. Their products are all controlled by the hive hub. You can rent their kit for just £30 a month which include a subscription to Hive live which offers a mimic mode which turns you smart light bulbs on and off at different times when you’re on holiday to make it look like someone is home. You can purchase a kit for around £116 and it is easily set up without help needed from an electrician.